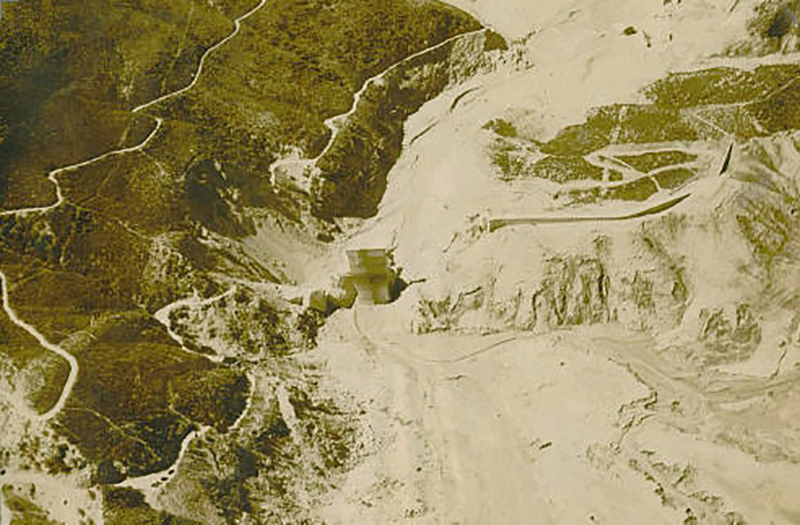 SCVHistory.com LW2179 | St. Francis Dam Disaster | Aerial View of Failure. LW2179: 9600 dpi jpeg from smaller jpeg. Online image only.